The World Series of Poker continued its trickle of updates last week, this time announcing the schedule for all of the events this summer that will cost $10,000 or more to enter. There are 20 such tournaments at the 2019 WSOP, including, of course the $10,000 Main Event, which had been previously announced. One of the events that was introduced in the first schedule announcement was the “Big 50” event, a $500 tournament with a $5 million guaranteed prize pool, named as such because this year marks the 50th anniversary of the World Series of Poker. On the opposite end of the buy-in spectrum is a new, special $50,000 buy-in No-Limit Hold’em event to celebrate the golden anniversary. Beginning Friday, May 31st, the tournament is slated for four days and will see players start with insane stacks of 300,000 chips. Blind levels will last one hour. Another new event will look familiar to anyone who has kept up with PokerStars over the past week. 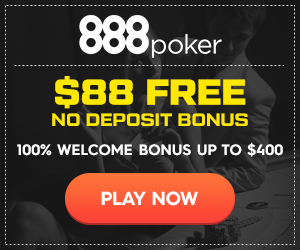 PokerStars introduced 6+ Hold’em to its cash game lobby and now the WSOP has introduced a 6+ Hold’em tournament, or what it calls Short Deck No-Limit Hold’em. In Short Deck, all cards valued Two through Five are removed from the deck. Further details of the rules will be forth coming when the WSOP posts the structure sheet, but it is likely safe to assume that a Flush will rank higher than a Full House and a Straight will rank lower than a Three-of-a-Kind. And of course, there is the $10,000 Main Event, which will run July 3rd through July 16th. There will be three starting flights; those who make it through Days 1A and 1B will play in Days 2A and 2B on July 6th. The Day 1C survivors will play in Day 2C on July 7th. Everyone remaining after all Day 2 flights will join up for Day 3 on July 8th. The starting stacks for the Main Event have been increased this year to 60,000 chips and the Big Blind Ante will be in effect, meaning that when the tournament reaches the normal ante stage, the player in the big blind pays the antes for the enter table. That payment will be equal to one big blind, so that player pays both the big blind and an equal amount for the antes. That ante bet is dead and is immediately part of the pot. Players will also be able to register for the Main Event all the way until the beginning of Day 2. The schedule for the $10,000+ events, per WSOP.com, is below.